Working as a physical therapy assistant (PTA) is an excellent career choice for those individuals interested in a personally and professionally rewarding career in the healthcare sector. With a growing emphasis on the provision of effective physical therapy, this field is expected to continue to enjoy robust and steady growth. 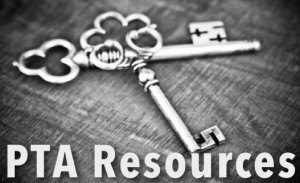 However, for those individuals seeking to fully develop their skills as PTAs, there are a number or organizations and resources that they can avail themselves of. Assisting PTAs to fulfill their continuing education (CE) requirements for license renewal. Informing members of any changes to state, federal or local laws regarding the practice of physical therapy that may impact their own professional lives. Providing information about current employment options for PTAs. In some cases, businesses seeking qualified PTAs may prefer to seek employees who are members of a well-known organization. In some cases, PTA associations may only permit licensed physical therapist assistants to join, while others may permit individuals who are currently studying to become a PTA to join the organization and may even provide assistance in completing their coursework. The American Physical Therapy Association (APTA) is the national professional association for physical therapists and physical therapist assistants. In addition to providing a variety of informational resources to its members, the organization also serves as a lobby that ensures that PTs and PTAs have a voice when federal legislation regarding the practice of physical therapy is discussed. With over 85,000 members, the APTA is the most important professional organization for PTs and PTAs in the United States. Access to professional literature and resources regarding the current practice of physical therapy in the United States. Assistance in ensuring that PTAs are properly compensated for their services by hospitals and insurance companies. The APTA provides discounts for those members who are interested in attending professional development conferences. The APTA also provides certification services for a variety of specialties in physical therapy, in order to assist member PTAs desiring to further expand their skill base. Live events and social network can assist members develop professional and personal relationships with their fellow physical therapist assistants. Finally, many physical therapist assistant programs encourage their students to join the APTA, due to the benefits it can provide for those individuals who are either currently studying to become a PTA or who are entering the field for the first time. In some cases, these programs may partially subsidize the membership fees for their students. There are a number of state organizations that serve their local community in the same way that the APTA provides national services for physical therapist assistants. In many cases, these organizations have their own conferences as well as having professional ties to the APTA and other state bodies. One example is the Virginia Physical Therapy Association (VPTA). The VTPA serves physical therapist and physical therapist assistants in Virginia, providing them with professional and job development assistance. In addition, the VTPA also focuses on ensuring that any changes in Virginia’s laws regarding physical therapy take the needs of physical therapy providers into account. The VTPA also provides information about Virginia’s continuing education requirements for physical therapist assistants. The VTPA also provides services to help its members find qualified CE courses. Finally, the VTPA assists PTAs in understanding how to effectively obtain reimbursement for their services. In some cases, schools offering physical therapy assistant programs may have alumni or professional associations that are associated with the school. These organizations are usually limited to current and former students and are often local in scope. Like state and national organizations, these associations are usually intended to provide information and assistance to their members. In some cases, they may assist newly graduated students in finding an available internship in order to obtain extra experience in the field of physical therapy. It is important to note that many PTAs belong to more than one professional association. For example, while the APTA is an excellent source for information on federal legislation regarding physical therapy assistants, state and local associations are often more suited to evaluate the impact of legal changes originating from state legislatures. Because of this, it may be wise for the PTA to ensure that he or she is a member of both national and local associations. Physical therapy associations can provide a vast number of services for physical therapy assistants. By joining these organizations, the PTA can be assured of obtaining the information he or she needs to prepare for changes in the law, job market or professional requirements that PTAs will face during their careers.